No. 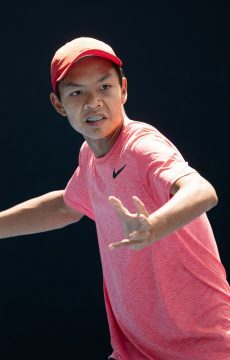 2 seed Rinky Hijikata won his second round-robin match to lead his group in the 18/u Australian Championships, while Annerly Poulos continued her winning ways in the girls' event. 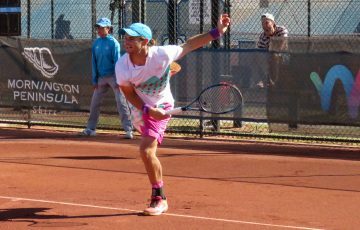 Two straight-sets victories at the December Showdown have seen Rinky Hijikata move to the top of his group in the 18/u Australian Championships. 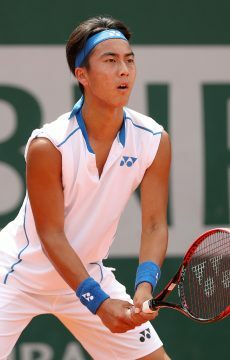 Hijikata saw off Chen Dong 7-5 6-2 on Tuesday, a day after brushing aside Thomas Bosancic. The second seed is now undefeated atop Group B and in prime position to qualify for the knockout quarterfinal stage. 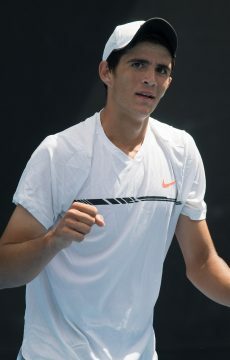 “I’m feeling pretty confident at the moment,” said Hijikata, currently No.15 in the ITF world junior rankings. 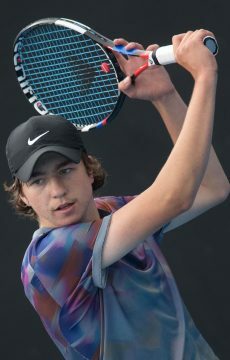 Top seed Jayden Court lost his second straight match in Group A; instead, it is seventh seed and defending 18/u champion Alexander Crnokrak who leads the group after dropping just six games collectively in two victories this week. 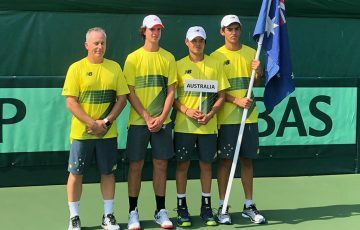 Third seed Dayne Sweeny and Tom Evans also now boast perfect 2-0 records in Group C and D respectively after their second victories on Tuesday. 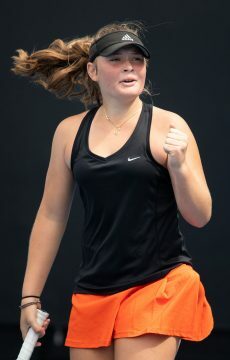 In the girls’ event, Annerly Poulos recovered to win a hard-fought match over Ivana Popovic, triumphing 4-6 6-3 6-4. 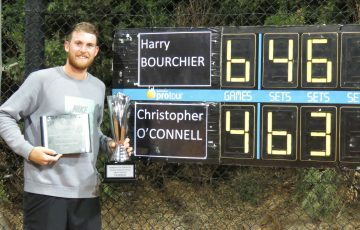 Poulos, seeded No.7, won the 16/u Australian title at last year’s December Showdown. She is still just 15 years of age. 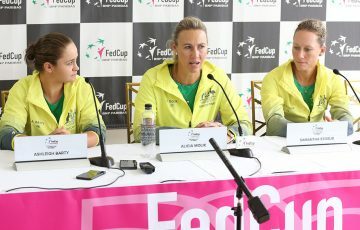 “I just thought I’ll move up an age group and do my best to win that one,” she said of her decision to focus on the 18/u tournament. Like Hijikata, Poulos heads her round-robin group with a 2-0 record after two matches. Lisa Mays, Amber Marshall and Taylah Lawless lead the other three round-robin groups with similarly undefeated records. 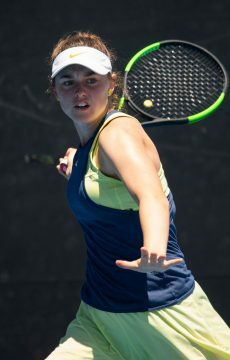 Meanwhile, Charlotte Kempenaers-Pocz, the No.1 seed in the 14/u event, continued her barnstorming run through the draw. 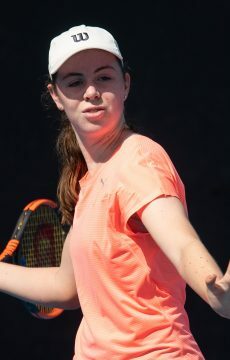 The South Australian beat No.7 seed Taylah Preston 6-3 6-1 on Tuesday to advance to the semifinals. 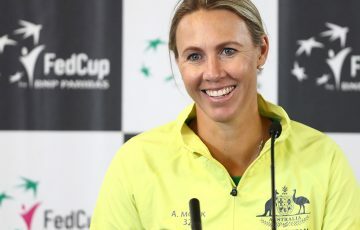 She has dropped just eight games in four matches so far in the tournament. “I feel like I’m very confident since I’m No.1 seed,” she said. “I’ve got a lot of pressure though to do as good as I can. I try not to put pressure on myself. I’m trying to keep going … I just keep my mindset on the match and just think about that. 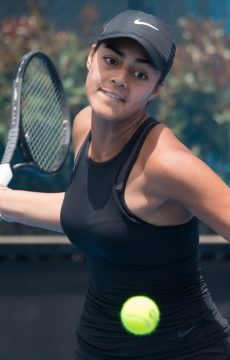 Kempenaers-Pocz will next face 16th seed Catherine Aulia, while third seed Talia Gibson will meet qualifier Elena Micic in the other semifinal. 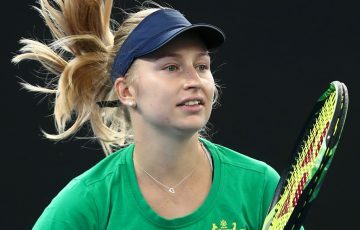 Micic surprised No.2 seed Hana Sonton 6-2 2-6 7-6(5). 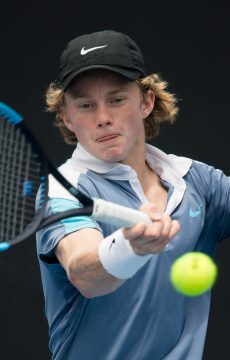 In the boys’ 14/u tournament, No.1 seed Edward Winter fell in a tense three-set match to Japan’s Shogo Sanada, last year’s 12/u champion. 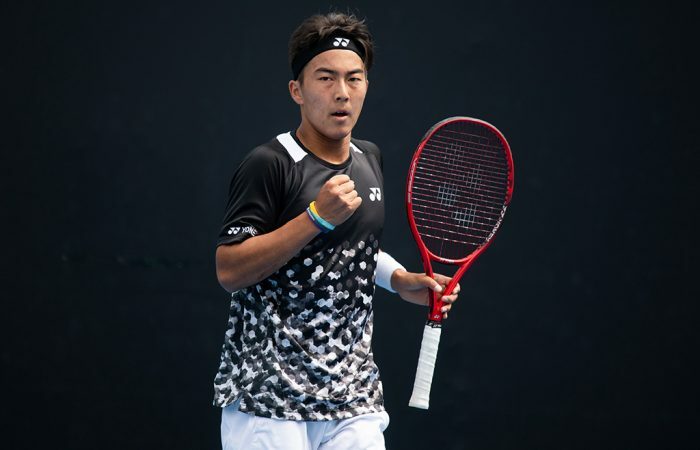 Sanada will in the semifinals meet No.10 seed Kent Yamazaki while second seed Amor Jasika beat Doni Gashi 6-2 6-2 to set up a semifinal battle with No.7 seed Derek Pham.